We work with individuals during the initial intake session to determine which battery of assessments are most appropriate for your referral needs. If the type of evaluation or service you are seeking is not listed please contact our office. We may be able to provide the type of service needed or refer you to a professional who is able to meet your needs. Cognitive evaluations assess a wide range of intellectual abilities including working memory, perceptual reasoning, verbal comprehension, and processing speed. It is the means of determining an individual's cognitive strengths and weaknesses through qualitative (approach to tasks and observed behavior) and quantitative (standardized and scaled measures) approaches. 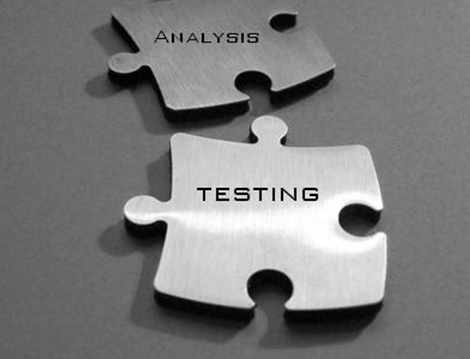 Cognitive testing results may be utilized to gain access to disability services. Child Behavioral/Emotional Evaluations are primarily conducted with children and adolescents experiencing complex behavioral and emotional symptoms. Behavior rating scales, self-report forms, informal observation, and clinical interviewing are examined in order to clarify a diagnosis and make age-appropriate treatment recommendations. Autism Spectrum Disorder Evaluations rely heavily on direct behavioral observation, clinical interviews with parents, caretakers, and teachers, and the use of specialized behavior and adaptive rating scales designed for diagnosing autism. Our psychologists are trained and certified in utilizing the Autism Diagnostic Observation Scale, Second Edition (ADOS-2) typically required for a clinical diagnosis of autism and to obtain approval for Applied Behavioral Analysis (ABA) services. Psycho-educational Evaluations include a wide range of tests that provide a multi-layered picture of a child/adolescent/emerging adult's academic strengths and weaknesses. A typical evaluation will look at a child/adolescent/emerging adult's cognitive abilities, academic achievement, and executive functioning. Our psycho-educational evaluations help parents and teachers understand exactly what skill deficits (i.e., reading, spelling, written expression, and/or mathematics) are contributing to their child/adolescent/emerging adult’s academic problems and how to strengthen them. Test results may be utilized to create and implement an Individualized Education Plan (IEP) or 504 Plan. Attention-Deficit/Hyperactivity Disorder (ADHD) Evaluations assess attention processes and their influence on academic, professional, and/or daily functioning. Individuals seeking this type of evaluation can expect to undergo cognitive testing as well as participate in performance based measures, approved by the FDA, that specifically assess selective attention, sustained attention, divided attention, and attentional switching. Your psychologist may also seek information from other individuals (e.g., teachers, caregivers, significant others) attention observations and other difficulties. Personality Evaluations consist of assessing current general psychological and emotional functioning, as well as identifying personality characteristics that are likely to influence long-standing behavioral patterns. Projective and/or objective measures may be employed to obtain a thorough understanding of an individual’s personality. Career Evaluations are designed to help individuals understand how a variety of personal attributes such as interests, values, preferences, motivations, aptitudes and skills, impact their potential success and satisfaction with different career options and work environments.